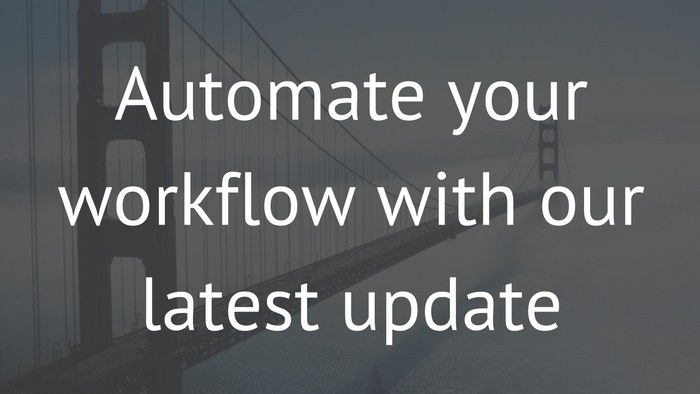 Today we are excited to announce that our Zapier integration is available for beta testing. Zapier is a web based application that facilitates data integration between hundreds (500+) of web applications, such as Gmail, Evernote and Mailchimp, without writing any code. Fusioo will not be available directly in the Zapier website while it is still in beta. To connect Fusioo to other web applications on Zapier, you will need to accept our invite first. How do you accept our Zapier invite? 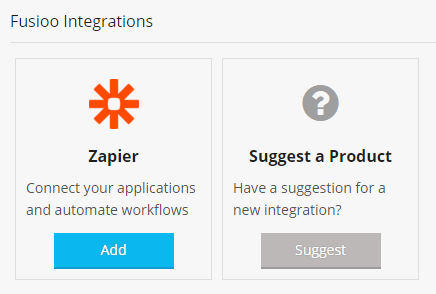 Head to the new integrations page in Fusioo, find Zapier and click Add. Once you accept the invitation, Fusioo will be available in your Zapier account and can be used in your newly created Zaps. Zapier allows you to set up a Zap to connect two services, so that an action in one service triggers an event in the other. With our current integration, you can create a record in a Fusioo App of your choice from a trigger in any Zapier supported service. 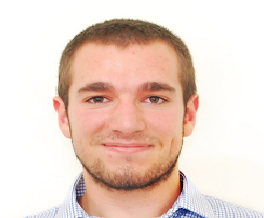 Connecting Gmail and Fusioo – Create new records in Fusioo from labeled emails in Gmail. Web Forms – Add forms to your website using Typeform (or any other Form service) and capture form data into Fusioo. We will be happy to hear feedback on which Zapier actions or triggers you want to see added to the Fusioo service. We plan on enhancing our Zapier integration and your feedback will help us prioritize our goals.